Here are some easy magnet monsters that you and your little monsters can make. It is an easy craft to do and great as a party or Halloween activity. All you need is card/foam sheets or any material to use for the monster bodies. Googly eyes and other bits and bobs to decorate these quirky monsters. And sheets of self adhesive magnets that you can get online. Either draw your monster body outline and cut. Or just cut freehand and let your monster evolve. Stick on some googly eyes, the ones with self adhesives are best. 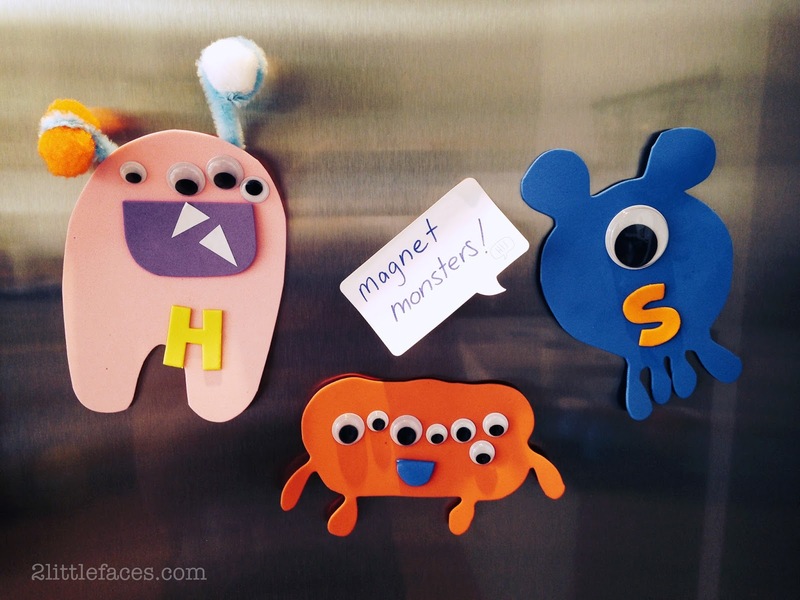 Once the monsters are finished, cut a square of self adhesive magnet and stick to the back and there you have it, magnetic monsters!